The European Commission has offered Libya up to €50 million in aid to stop the flow of illegal migrants to Europe and protect refugees, the European Union executive said last night. 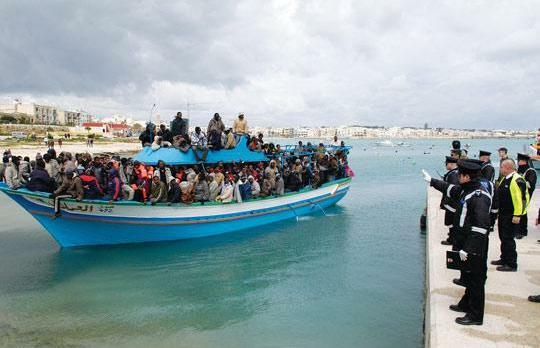 The funding is far below Libya's appeal for €5 billion to combat illegal migration, an amount Foreign Minister Moussa Koussa reiterated to European officials visiting Libya. "It is my objective to put the protection of fundamental rights of all people involved in migratory and asylum flows at the centre of our efforts in the EU relationship with Libya," EU home affairs commissioner Cecilia Malmstroem said in a statement. Malmstroem and European neighbourhood policy commission Stefan Fuele signed a migration cooperation agenda with Libya on Monday. "The cooperation agenda will enable us also to promote initiatives aimed at better protecting and assisting the rights of migrants and refugees," she said. The money will be allocated between 2011 and 2013 to help protect and assist migrants and refugees, promote better management of migration in general and fund initiatives related to border surveillance, a commission spokesman said. But Koussa repeated an appeal made in August by Libyan leader Moamer Kadhafi during a visit to Italy. "Libya is asking the EU for €5 billion per annum to definitively stop clandestine emigration to Europe," the official JANA agency quoted Koussa as telling the EU officials. Tripoli has long demanded financing and equipment to supervise its maritime and land borders. The European Commission has said it considers the sum inflated and that more can be done for less, but Italy insists on cash for Libya to combat illegal migrants reaching Europe, without agreeing on a sum. Libya has increasingly become a key transit country for illegal migrants headed for Europe from North and sub-Saharan Africa.